At first glance, the above images all seem to represent different things. They are all different colors, different shapes, and seemingly different organisms. It may come as a surprise then that the 3 photos above are all taken of Anacardium occidentale, or the Cashew Tree. Anacardium occidentale gets its name from the Greed words "Ana-", meaning "without", and "cardium", meaning "a heart." Occidentale is Latin for "from the west." As the name suggests, this plant is native to the Western Hemisphere. The genus name is actually more specific, referring to how the pulp of the fruit has the nut growing outside of it rather than inside! Anacardium occidentale is a fairly large spreading and fast growing tree that is native to Brazil. 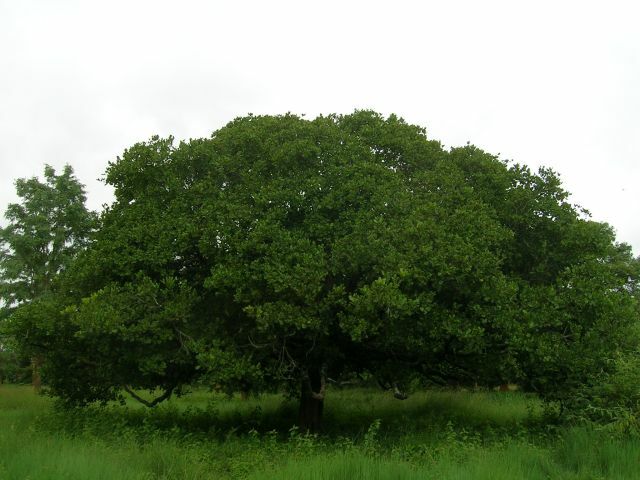 It has evergreen leaves and in favorable conditions can grow up to 40-50 feet. The tree produces aromatic yellow and pink small flowers, which typically have 5 petals and are pollinated mostly by bees. 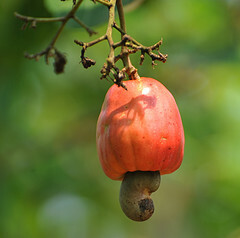 The tree also produces a two-piece fruit, one part called the Cashew Apple and one being the Cashew Nut. 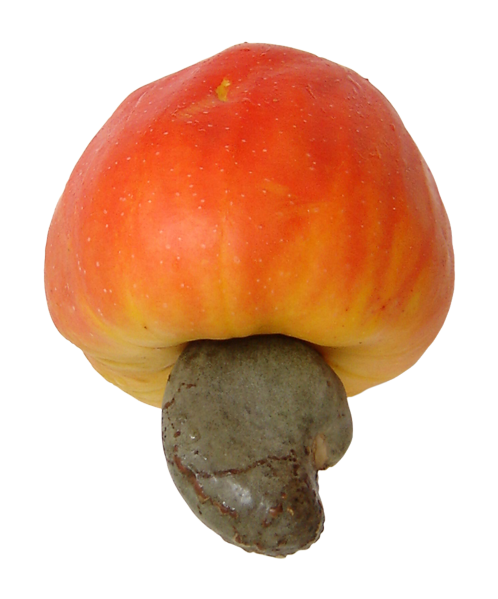 The Cashew Apple is also called the “pseudo fruit,” due to the fact that it is actually just the swollen stalk. The cashew apple is actually pear shaped, plump and fragrant. It can grow to be 5-11cm in length. This fruit is edible and apparently quite tasty, however is only ripe for a short period of time and tends to go bad after approximately 24 hours, which is why they are mostly discarded. 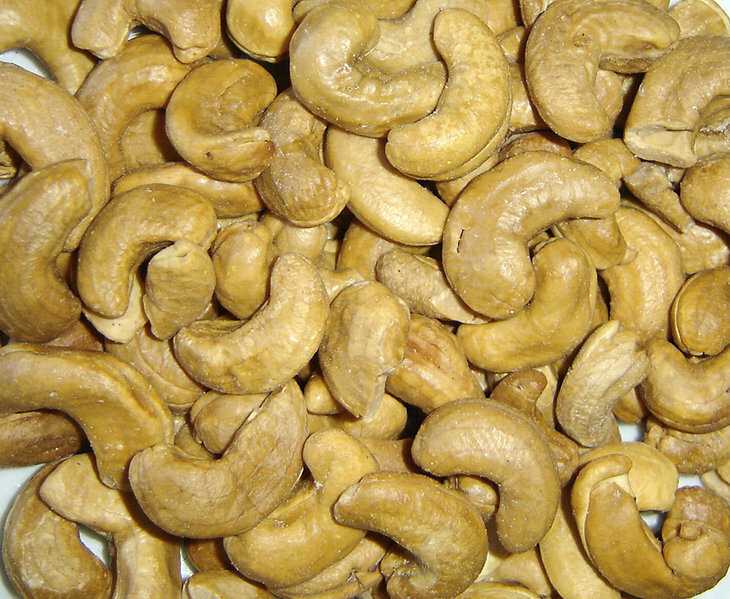 The Cashew nut actually grows first, and the apple grows out of it. This is the kidney shaped and thick shelled “true fruit” that contains the kernel (the cashew as we know it) as well as thick cashew nut shell oil( CNSL). This oil contains cardol and anacardic acid and is quite toxic. The nuts must be roasted to expel this oil before contact with humans, and unroasted nuts should never be eaten. -In its native Northeastern Brazil, many people believe that if the Cashew Tree is flowering during the time of a lunar eclipse, the moon will burn the tree's flowers, resulting in a poor harvest for the season. 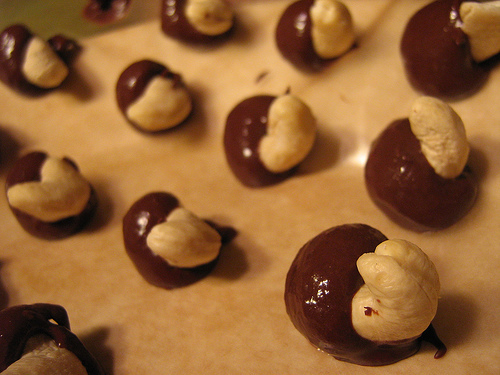 -The nuts are very nutritious (and delicious!) food, containing approximately 30% carbohydrates and 15% protein. -Natives of Northeastern Brazil often use the CNSL oil to tattoo themselves.